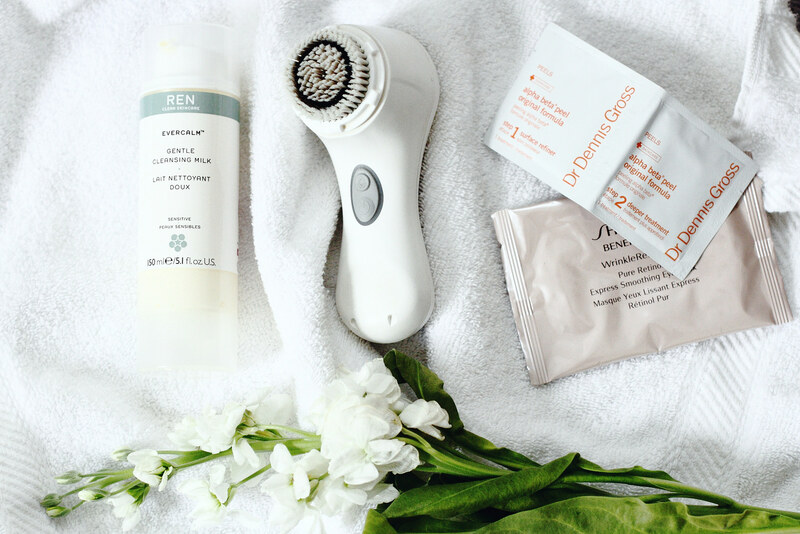 Clarisonic Mia2 – I use the sensitive brush a couple times a week before serums and treatments to make them more effective. Dr. Dennis Gross Alpha Beta Daily Peel – I find these really help brighten my skin when it starts to look dull around this time of year. Shiseido Pure Retinol Express Smoothing Eye Mask – I recently started using these after reading rave reviews and absolutely love them. Call me crazy, but I really do notice a reduction in fine lines after each use. I usually follow this regimen with Origins Drink Up Intensive Overnight Mask – my skin soaks this stuff up like sponge! What are your favorite products for winter skin? Yes! It's finally getting chilly in Boston and I could so use that overnight cream! Awesome tips! Would love to get my hands on the daily peel!